Incredible views with level building site. 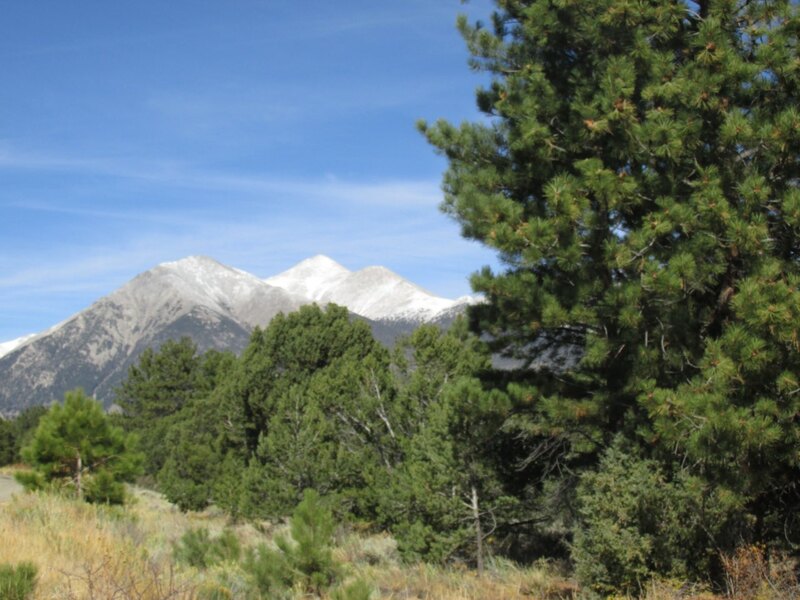 Mature pinon pine trees. Level building site. Close up mountain peak views.